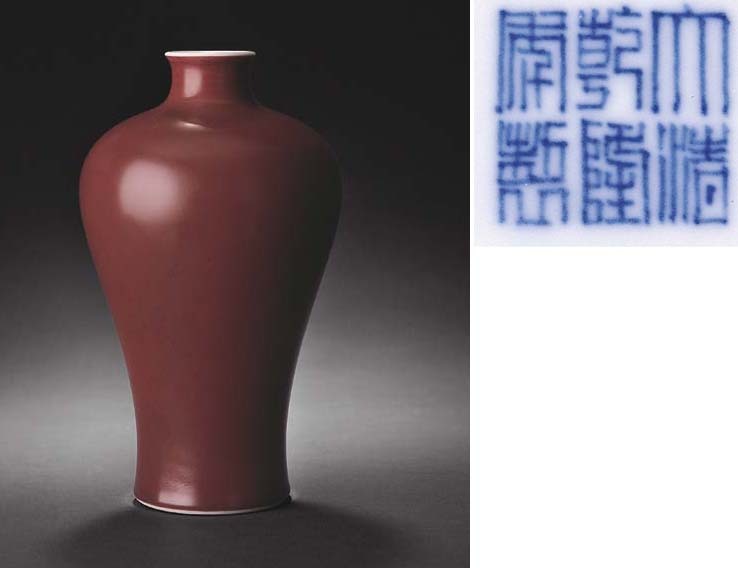 A vase of this shape, size and glaze colour is illustrated in The Tsui Museum of Art, Chinese Ceramics IV, Hong Kong, 1995, pl. 39, and subsequently sold in these Rooms, The Jingguantang Collection, 5 November 1997, lot 864; and another from the Ohlmer Collection was included in the exhibition, Chinesisches Porzellan, Roemer Museum, Hildesheim, 1981, illustrated in the Catalogue, no. 99.